When it comes to engaging existing customers and attracting new ones, one of the best channels to use these days is mobile. Mobile is on the rise when it comes to shopping: 79% of smartphone users have made a purchase on their phones in the past six months. You can expect that number to continue to rise as technology makes mobile easier to use. If your retail business isn’t yet mobile-friendly, here are a few reasons to change that. Imagine this (or maybe you’ve already experienced it yourself): as a shopper is driving through a commercial area, she gets a ping on her phone announcing a 25% off coupon from one of her favorite stores in the area. She might not have planned a trip to that store on this particular day, but now with this coupon (which expires today), she makes a detour and buys something for herself using it. Mobile marketing offers plenty of potential to send shoppers to your stores. Once they’ve opted into your text messages, enabled push notifications, added your offer to their mobile wallets, or downloaded your app, you can continue to reach subscribers through relevant, targeted offers. Another mobile trend worth noting is having the ability to accept payments through your phone. If you sell at farmers’ markets or festivals, you aren’t restricted to accepting just cash…and only 41% of consumers carry cash with them. With a tiny mobile card reader and a downloaded app to process the payment, you can accept debit and credit cards, no matter where you are. Retailers have to get on board with updated mobile SEO to ensure that their businesses appear in local search results by using these colloquial search terms as well as ensuring that all information about their company is published on Google (store hours, address, contact info). Another hot trend in mobile is augmented reality, or AR. Google, to no one’s surprise, is excelling at this technology: use Google Lens pointed at a product and find where you can buy it online. Beauty brands like Sephora are also using AR to bridge the gap between the in-store and online shopping experience: shoppers using the app can “try on” makeup using augmented reality and a selfie. If you thought that the mobile wallet was simply a digital payment tool, think again. It’s actually a marketing powerhouse. Retailers can set up their loyalty programs through mobile wallet so that a shopper can sign up for the program with just a few taps on her phone. When she returns, she scans the barcode on her phone at the point of sale to find out how many points she has available, or whether she has special offers she can redeem. 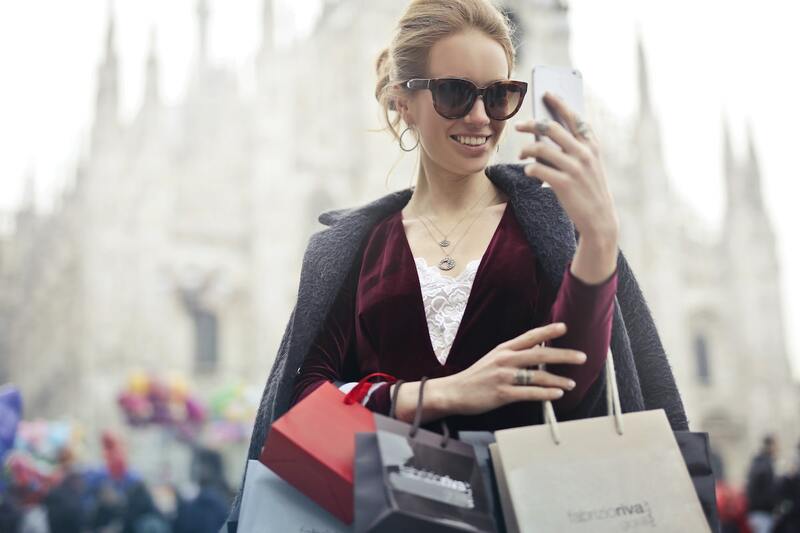 Once a shopper has added your offer to her mobile wallet profile, you can continue to update that offer with new and relevant promotions over time. You can’t bury your head in the sand when it comes to how important and relevant mobile is in reaching consumers and strengthening that relationship with them. Whether you go full-on with your mobile efforts or just experiment with one or two of these techniques, you’re sure to see a better connection with customers as a result!